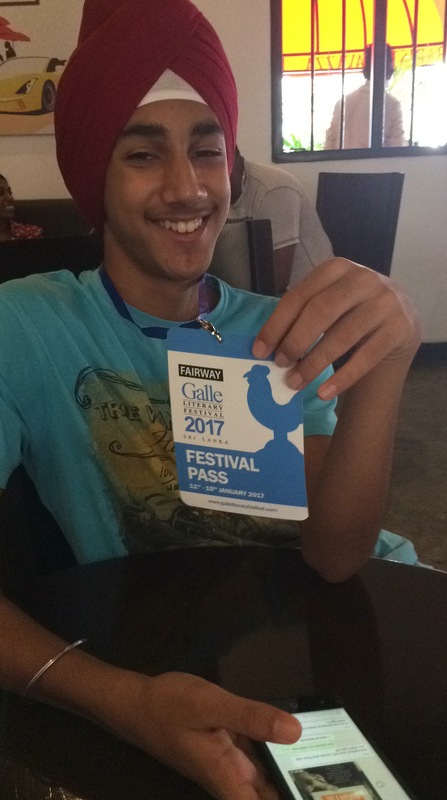 This was the first time I went for the Fairway’s Galle Literary Festival and it was the most memorable start to my year. The five-day festival consisted of a mix of activities, authors speaking about their books, workshops on poetry, cooking and writing, musical events and interactive lunches and dinners with the authors. I only stayed for three days, I came one day late and left one day early, but as I left, I knew that I would definitely be back for the 2018 festival. My first event at the festival was a poetry workshop with the English poet and singer, Jemima Foxtrot. She started by performing one of her poems and immediately I knew this workshop was going to be fun. Using word games, she told us about the essentials of poetry and got all the participants working together. The poems everyone came up with were very good. She gave us tips on how to make our poems more exciting and enjoyable and how to write freely. I then attended some of the talks along with my mother. One of them was by John Gimlette on his book Elephant Complex. The dinner that night was at the Galle Fort Hotel. It was a good experience for me, hearing the famous author Amish talk about his trilogy about the Hindu gods. Interacting with people who I didn’t know, was quite interesting too. I even got to talk about my love for photography with some of the people there. The next day was an exhausting day, walking all around the Galle Fort. But learning the history of the incredibly beautiful city of Galle, made it worthwhile. I could have just stayed inside the hotel room, lazing around with nothing to do, but thankfully I didn’t. Had I done that, I would have missed out on all the fun everyone was having. Even though I had not read any of the books, it was interesting hearing authors like Anita Nair and Philippa Gregory talk about their books and how they write. I was exhausted, but when I heard my mother and her friends talking about the different sessions and sharing their experiences, I was happy to have been part of something this special. I learnt quite a bit. Everyone seemed to be enjoying the festival. Dinner that evening was with Kate Tempest. Once again, I got to interact with other people there and talk about my love for photography with some of them there. I was the youngest, but everyone was very nice and chatted with me. Kate Tempest recited two of her poems and both were absolutely brilliant. I also got to share my love for poetry with this famous poet. My last day at the festival, in the beautiful city of Galle, was also quite an interesting day. I would say that it was my favorite day. I attended a workshop on graphic novels. Reinhard Kleist is a famous German graphic novelist and artist. He taught us the art of writing comics and graphic novels, showing us some of his famous works. I also attended his talk later, where he showed us slides about his novels, The Boxer and An Olympic Dream. I wish I could have stayed on longer, but it was time for us to head back home. As I left the city of Galle, I knew I would definitely come back for the Fairway’s Galle Literary Festival 2018. Good details about the Galle Literary Festival. Hope your friends will attend next year with you, after reading about your experience. In this way, we will never have a dearth of authors and poets. You should come down next year. Maybe even volunteer. I did volunteer this year and it was honestly one of the best experiences ive had for 2017. 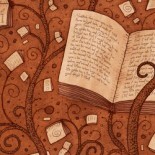 You not only discover and meet a lot of authors but learn and come across great discussions and books of course. 👍 will ask Himmat to volunteer. This entry was posted on January 18, 2017 by artikabakshi in Events, Guest Reviewers and tagged Fairway Galle Literary Festival 2017, Galle, Himmat Singh Bakshi, Sri Lanka.